Violence continues to spiral in the once popular beach resort town of Acapulco, Guerrero. In one day, teams of gunmen carried out multiple executions and clashed with police forces, spreading terror among the tourists who still travel to the area. 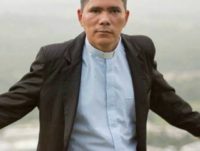 Two Catholic priests from coastal Guerrero were murdered by a group of suspected cartel hitmen while returning to their parish. One other priest was shot. The main morgue in the Mexican State of Guerrero closed its doors temporarily after the smell and lack of sanitary conditions from more than 660 corpses forced workers to walk off the job. 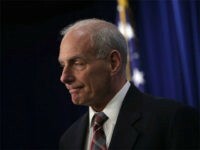 At least 28 inmates died with five beheaded during a fierce prison riot in the Mexican state of Guerrero–the same day that U.S. Department of Homeland Security Secretary John Kelly visited the region to discuss cartel violence. 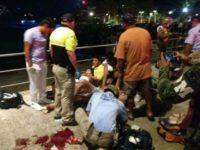 A team of cartel gunmen began to fire indiscriminately into a crowd of tourists — killing two and injuring at least six others — in Mexico’s resort town of Acapulco. 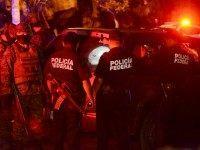 A young girl shot multiple times by the cartel gunmen died at a local hospital. A lone gunman is believed to have gone on a shooting rampage murdering four victims and wounding 12 others at a night club near the famed Mexican resort area of Cancun. Mexican authorities have found 32 bodies and nine heads in approximately 20 mass graves in the Mexican State of Guerrero. 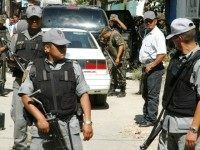 The state, which is home to the famous beach resort city Acapulco, has been the scene of a fierce cartel war as rival groups fight for lucrative distribution routes. Acapulco was once a bustling tourist region in the Mexican state of Guerrero. The beach-resort city has now become a heavily contested drug territory where executions have become commonplace. Large scale gun battles continue to bring the city to a halt. 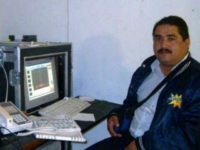 A team of suspected cartel gunmen ambushed and murdered a local reporter in the Mexican state of Guerrero Monday morning as he left his home on his way to work. 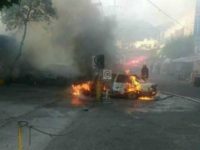 Mexican authorities have released minimal information on the case; however they have been working extensively to minimize the raging cartel violence that has been taking place in the beach resort town of Acapulco, Guerrero. 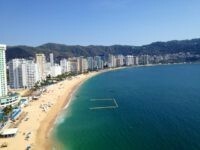 The coastal resort city of Acapulco has always been known for its beautiful beaches and sparkling waters. But in the last decade it has become a regional epicenter of drug war violence that Mexican authorities have been largely powerless to stop. The most recent wave of killings and kidnappings comes as a result of a turf war between multiple drug organizations that want control of the lucrative port city.